Actually, I'm not really for a running limit myself, it was very annoying both in GTA and Morrowind (never played D3), but I think adding encumbrance would add a bit of a good challenge to the game, forcing the player to choose his equipment more carefully. It's just a suggestion though, so I'm not going to argue about it, you still have a lot of work to do anyway. At which point the guard jogs over and hacks them to death? Which guard? They can't follow you everywhere. If you are talking about encumberance then the more loot that you carry should reduce your movement speed as well. The PC should also have the option to put down his bag of loot silently, gently laying it down, not having to throw it like in Thief 1/2. You guys seem to be very afraid of making the game difficult, whis I find saddening. Spoken like someone who's utterly failed to think the matter through. Making a game difficult is trivial. Making a game FUN is not. People who approach computer games as some sort of test of their manhood instead of a source of entertainment are a bit broken in the head, IMHO. The PC should also have the option to put down his bag of loot silently, gently laying it down, not having to throw it like in Thief 1/2. *psst* By default in T1/2, the "r" key drops an inventory item quietly down without throwing it. Edited by demagogue, 24 June 2006 - 02:24 PM. Well, what else can be fun in a stealth game other than a challenge? Enough about that though. It's not like it won't be impossible to implement after the first official release. Yeah I know about the drop key , but that never gently laid items down. If you 'r' dropped an item on a hard surface it would cause a big sound, so it wasn't much better than throwing, in fact throwing would be better in some cases because then the sound would not be right at your position. Oddity is not working on the mod so much as he used to due to RL, so yeah. He still will make one or two models every now and then, but yeah. In any case, RL comes first on anyone's list right? 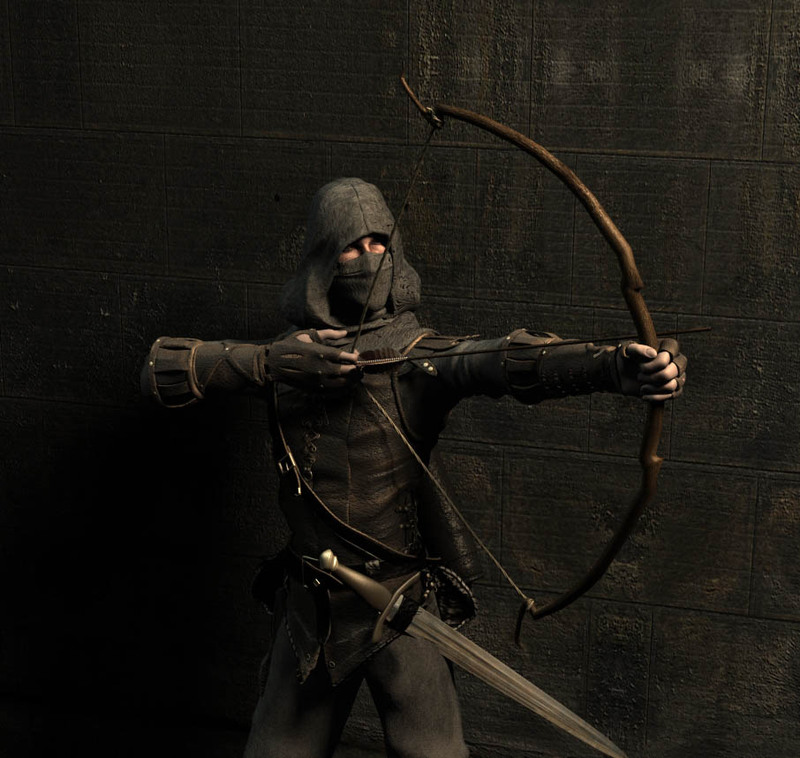 So can those 3 models of the Thief actually be used in game? The renders that is. Edited by Arumakani, 30 June 2006 - 08:01 AM. So it'd be too difficult to do? The Thief model will be ingame eventually, as we have to swap out the doom marine model that is currently in its place. The model is used for reflections and although it looks strange if you use it with a first person setup, player shadow. We're not going to put a lot of time into supporting player shadow, and it's turned off by default...but you can still try it out if you wish. Will do Timothy. I really like the look of thos models. Oddity is very talented. 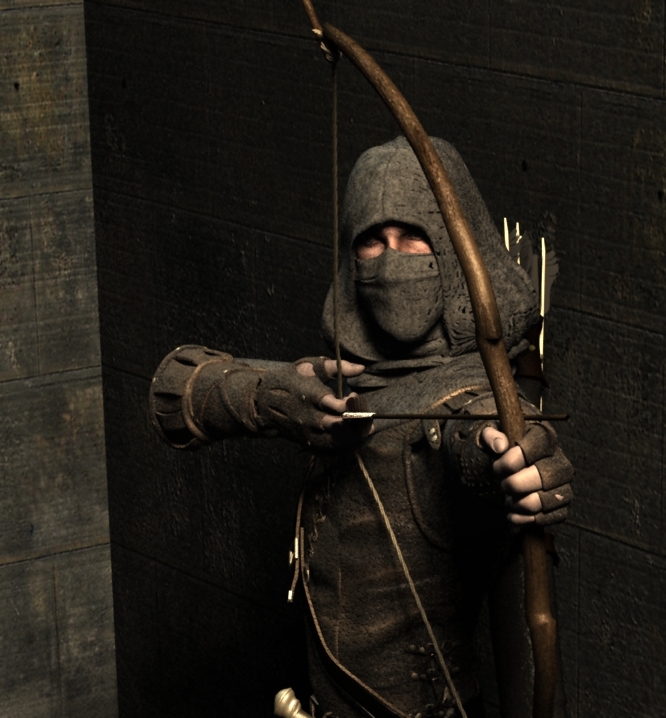 It reminds me of a mix of Garrett, Robin Hood and a ninja. BTW, which model is actually going to be used? Edited by Arumakani, 30 June 2006 - 08:27 AM. THis is the verison that will be used in the game. Brillinat mate. Why not stay till the end of the development process? Edited by Arumakani, 30 June 2006 - 10:56 AM. 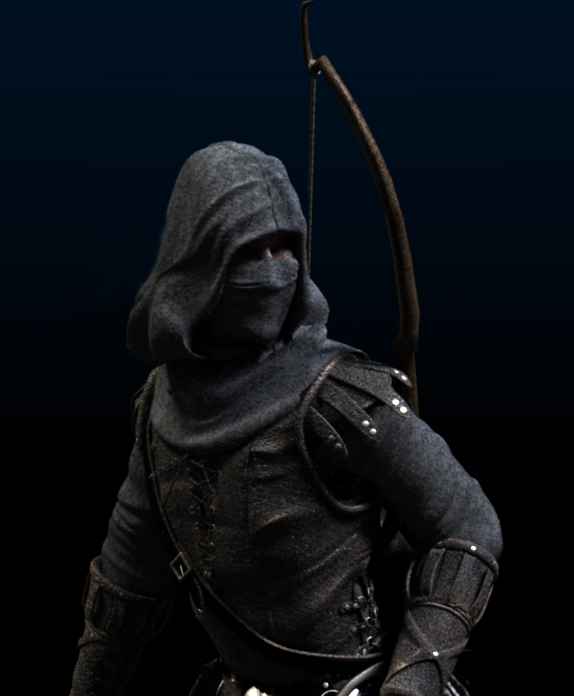 What about using the thief model as a stand-alone NPC? A very nicely detailed model. Hmm, that would have to be modified for no face covering (with a greenish tinge to his right eye color) and a hooded long flowing black cloak for use as Garrett in FM's the accurate way he always looked in Thief and Thief 2. Other than that, it's looks just about ready to go for Thief FM's. Edited by Dunedain, 01 July 2006 - 02:06 PM. Which is NOT THE POINT OF THE DARK MOD COUGH COUGH LAWYERS. Ahem. Ahhhhhhhh, everytime I see that model...it just makes me smile. It's just bloody awesome! I can't wait to animate it etc when the DarkMod is released.